Published: Feb 2, 2019 - Modified: Apr 22, 2019 - by Chef Rodney - Leave a Comment - This post contains Ads & Affiliate Links. Frequent visitors to my food blog will know that there is nothing I love more than a good Gourmet Mac & Cheese. I usually prefer my Mac & Cheese to be heavy on cheese but sometimes it’s nice for the cheese to be in moderation. Just like this recipe. 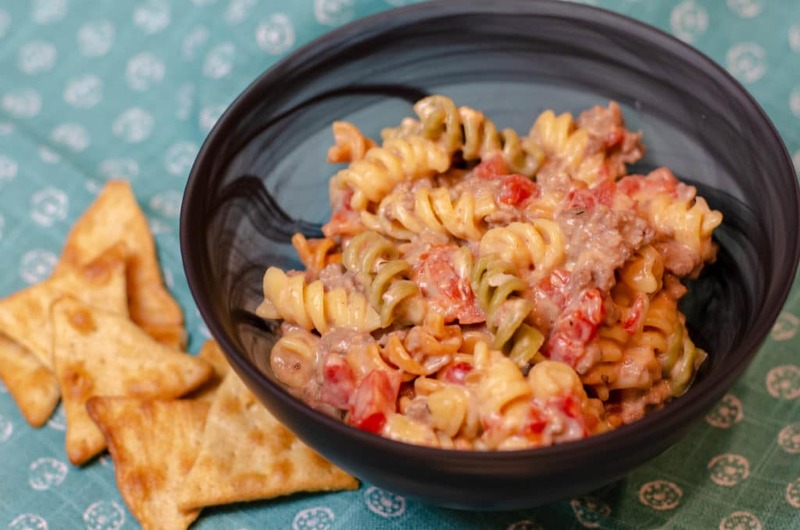 For this recipe I decided to use Tri-Color Rotini but just like any Mac & Cheese recipe, you can use whatever type of pasta you want. The important thing to remember is to cook the pasta al dente by following the directions on the package. Overcooked pasta in Mac & Cheese is just not as good in my opinion. 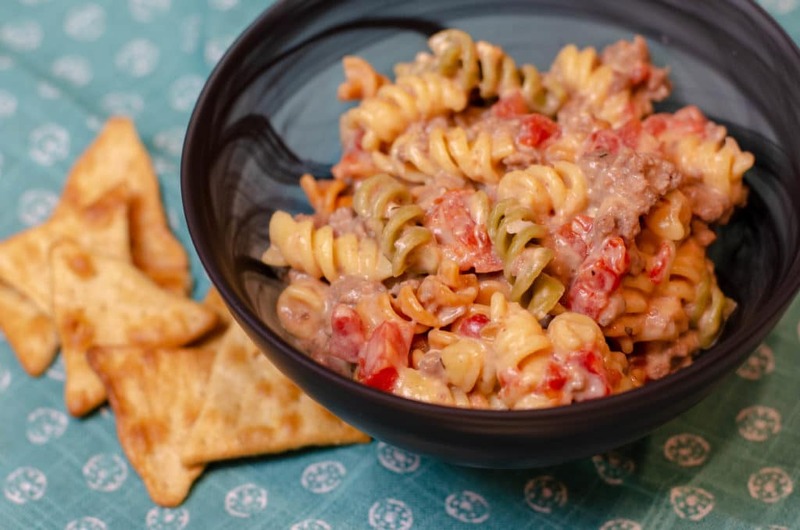 I usually make this Mac & Cheese dish with ground beef but on a few occasions I used ground turkey. Either one will taste great! Just remember that if you use ground beef, try to get it as lean as possible. Heat a large skillet over medium heat. Add beef, onion, Worcestershire, and mustard. Cook, stirring often, until meat is done. Transfer meat mixture to a bowl. Stir in tomatoes. Add milk and flour into skillet. Stir constantly until a rue is formed. Add cheeses and stir until all the cheese is melted. Remove skillet from heat. 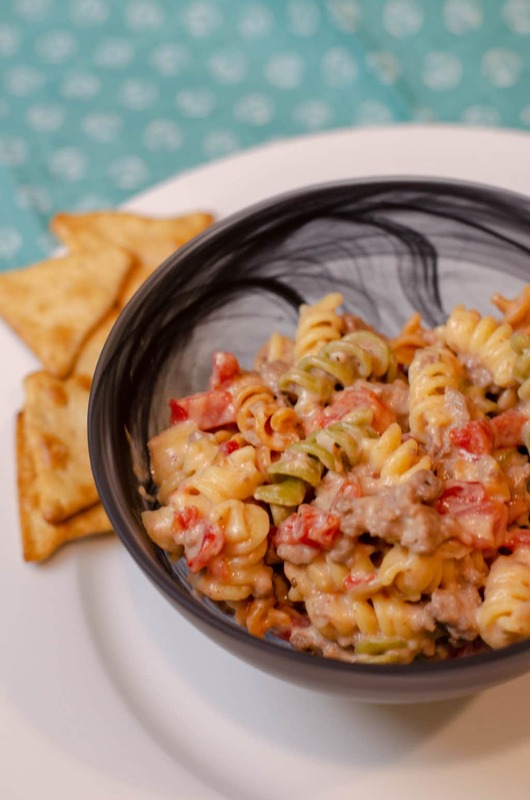 Stir in pasta and meat mixture. Top with parsley (optional), salt, and pepper.